Shoppers in Shenzhen: On your Mark, Get Set….GO to Hong Kong! We’re all used to the post-Christmas tradition. Large numbers of eager shoppers line up outside stores in the pre-dawn hours. After a long, tedious wait the doors finally open – and in they stampede. It’s SALE TIME! Of course the inevitable happens. People fall and are trampled. Fist-fights break out over who saw those perfect shoes first. Selfridges had a separate line for people wanting Gucci. At a Wal Mart in Los Angeles one woman pepper sprayed fellow shoppers so she could get to discounted electronic gear first. Really. It seems the citizens of Hong Kong have these very images in mind now that China has relaxed the rules for travel permit applications. In our minds’ eye we see millions waiting on the border. At the stroke of midnight on the day permit regulations are eased we foresee millions of visitors pouring across into Hong Kong. Well let me correct that. We foresee millions more. Hong Kong is a city of 7 million people. Already we received 14 million visitors per year. For a small country that’s a lot of hospitality. Many of the visitors are from Mainland China. Day trippers crowd the border crossings into Shenzhen with trolleys filled with essentials. From trustworthy baby formula to high-end designer bags, Chinese shoppers find the quality and price of goods in Hong Kong irresistible. That also makes this city a mecca for international fashion houses, as they can set up stores dedicated to Mainland shoppers in close proximity to China. The New Territories town of Sha Tin has a high-end shopping mall with Gucci and Louis Vuitton stores. If it weren’t for mainland shoppers this mall would probably have McDonald’s and ophthalmologists. The pressures of such a high numbers of tourists are easy to see. Train networks are even more crowded. The availability of some essentials is compromised, especially as you get nearer the border. Stores catering to local tastes and needs are pushed out for those paying higher rents and selling to Mainland customers. Today Causeway Bay charges the highest rent in the world for retail space. 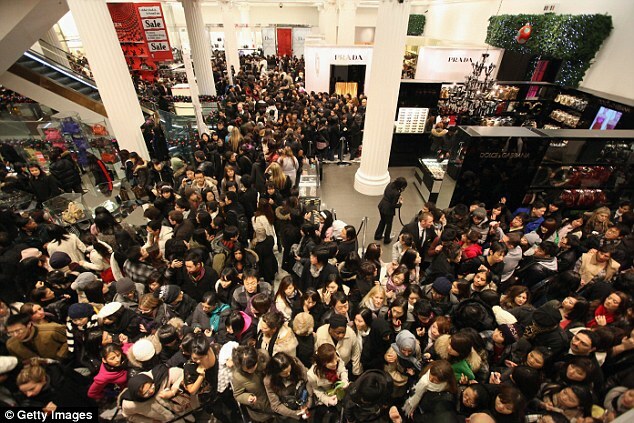 Most days it is hard to move in the congestion of shoppers. Shenzhen is a city of 12 million people directly adjacent to Hong Kong on the other side of the border with Mainland China. Just 30 years ago this was a fishing village of 50,000 people. The vast majority of residents, then, are newly arrived migrants who have their residency still in other cities. Their freedom to apply for travel permits in Shenzhen opens our borders to millions more. Hong Kong is a welcoming city to tourists. It has a worldwide reputation as one of the most exciting, exotic cities in Asia. For us to retain this reputation and manage the inflow, government officials need to upgrade the infrastructure and assist in tourism development to house millions more. Otherwise we’ll all need to pack the pepper spray. Video courtesy of Susan Hurley at Alchemy Asia – a brilliant brand consultancy!